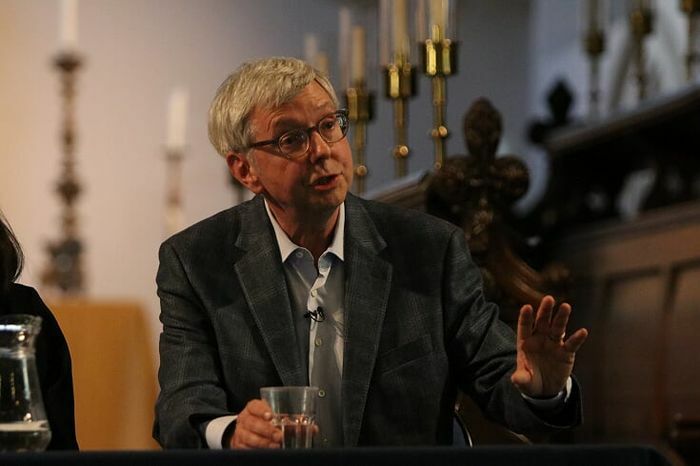 Cambridge has today announced that Prime Minister Theresa May is set to succeed Stephen Toope as the University’s next vice-chancellor, after she told Conservative party leaders earlier this week that she would step down as prime minister before the next phase of Brexit negotiations. Theresa May studied Geography at St Hugh’s College, Oxford, but will now take the helm of Britain’s second-oldest university. Local wheat farmers are expected to explore heightened security measures in advance of her arrival in Cambridge. The reasons behind Toope’s sudden resignation remain unclear, although a high-ranking University official, speaking anonymously to Varsity, speculated that the Canadian scholar was simply “bored of talking about divestment”. Toope took on the role of vice-chancellor in 2017, and his two-year term leading the University has seen high levels of student protest, as well as the largest-scale staff strikes to hit the higher education sector in recent years. “Dealing with student activists surely can’t be as difficult as trying to unite the Conservative Party”, said May at an official press briefing this morning. Only time will tell if her optimism is misplaced. The vice-chancellor job, much like that of prime minister, comes with free accommodation, although May’s Cambridge residence will offer far less luxurious travel options. May will be trading the prime-ministerial Jaguar for the U-bus. Inside sources have reported that negotiations are currently ongoing regarding the future of Larry, the 10 Downing Street cat and Chief Mouser to the Cabinet Office. Supposedly, Theresa May has requested to bring Larry – who moved into 10 Downing Street in 2011, when David Cameron was Prime Minister – to Cambridge, where he would have greater opportunities to explore the outdoors and chase ducks on the Backs. The Backs are likely to become a new scene of controversy, with incoming vice-chancellor May already declaring her intention to sell fracking rights along the Cam to Cuadrilla, a move which divestment activists have declared as “a Cambridge climate crisis”. A new entrant to the Cambridge activist scene, Scudamore’s plans to launch a flotilla of punts along the Cam next week in protest against the move. Each punt will be emblazoned with the slogan “Divestment means divestment”. Found by Varsity in the queue for Arcsoc, dressed in incoming CUSU President Edward Parker Humphreys’ ubiquitous jacket, opposition leader Jeremy Corbyn expressed dismay at May’s appointment. “What we need is a general election now,” remarked the opposition leader.